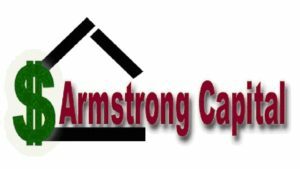 Armstrong Capital was established in 1991 for the sole purpose of buying and brokering seller financed real estate notes. We have purchased notes on all different types of properties including residential, commercial and land. We have purchased notes with different security instruments including Mortgages, Trust Deeds, Indentures and Land Contracts. We have purchased and brokered notes in over 47 different states. Given his vast experience over many years, numerous states, and hundreds of transactions; Jeff Armstrong provides Nationwide Valuation Appraisal Services for Secured and Unsecured Promissory Notes. If you need a Valuation Estimate or an Appraisal of today’s cash value of your secured or unsecured notes, for the purpose of Estate Planning, Financial Planning, Income Statement Preparation, Balance Sheet Preparation, or any other purpose we invite you to contact us today. Contact us by phone at 1-800-845-3055 or e-mail to find out more about these additional cash flows. If we can’t assist you with a particular cash flow or income stream we can probably refer you to someone that can. We invite you to contact us at any time in the event that you could use any of our services at 1-800-845-3055 or by e-mail. We will be happy to answer any of your questions and will do our best to assist you in whatever way we can. We look forward to serving you in the future.